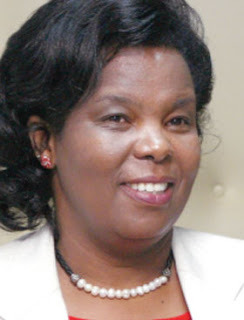 Kenyatta University Vice Chancellor, Prof Olive Mugenda’s official car was yesterday involved in a minor accident within the University’s main campus. The VW Passat hit an approaching Toyota Probox near the University’s transport yard. It was not immediately clear if Mugenda was inside the car at the time of collision, but no injuries were reported. Very minimal damage was incurred on the side of the Probox, but the Passat will have to do with some new headlights and minor dent repair. Both vehicles were ferried to the University garage, as a big crowd of curious students gathered. The Vice Chancellor will however not be short of vehicles. She is believed to enjoy the services of a fleet of similar or better cars, by virtue of being in charge of Kenya’s fastest growing university. During her time as Kenyatta University VC, she has led the transformation of the Thika road based campus from a dull looking centre of learning, to a competitive university. Some of the projects she has accomplished include: building of a Sh 1 billion modern library, construction of more lecture halls, construction of Schools of Engineering, Tourism and Economics buildings among others. Currently, the University is in the process of building a modern administration block, Student business and incubation centre, and a 17 storey university monument and observatory. Citizen TV’s Janet Mbugua Dating Controversial Politician ? ?